Hahn & Clay's Field Services division has over 40 years of experience in on-site field service repair. We have extensive experience in providing reliable engineering repair services in the industrial, petroleum and petrochemical market places. Our Field team is on call 24 hours a day, 7 day a week, to satisfy your onsite needs! 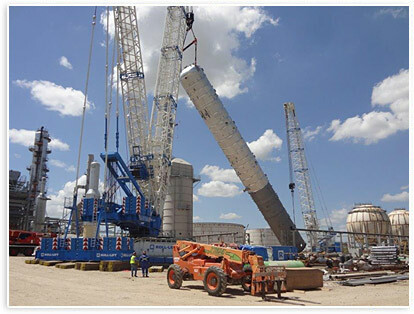 We are a prime contractor for providing turnkey turnaround services, planning, estimating, and execution. We provide a reliable, trained work force to assist in turnarounds. Includes flange facing, pipe cutting, weld prep, line boring, drilling/tapping, journal turning, key way cutting, milling, grinding, lapping and honing. Field erected tanks, columns and towers. ASME code repair, retubes, plugs, and refractory repair. 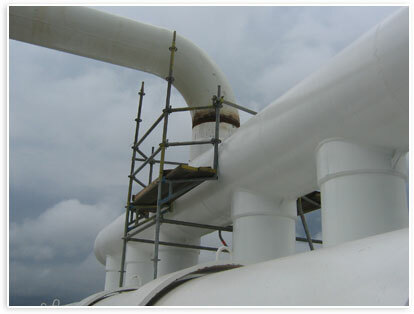 Air coolers, shell & tube and plate, extracting, retubes and shell repairs. Valve re-conditioning and complete overhaul to as-new condition. Precision bolting service and/or rental equipment. Shop pre-fabricated pipe spools and field erected spools.